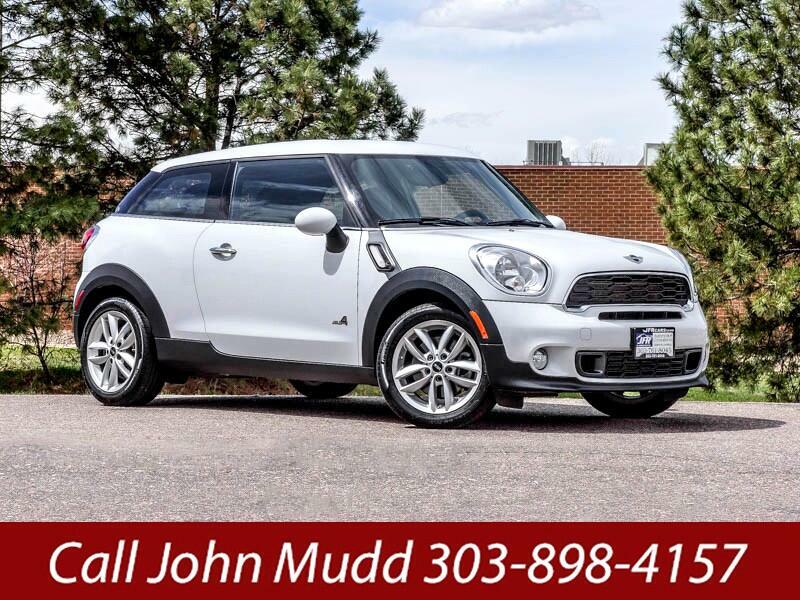 Used 2014 MINI Paceman S ALL4 for Sale in Littleton CO 80120 JFR & Associates, Inc.
By the way... this car is just plain fun to drive. It comes with distinctive looks sporty driving dynamics and solid handling. The lively acceleration makes it easy to merge on the highway, safely and quickly. This Mini comes with excellent fuel economy (City 23 - Hwy 30). Fewer stops at the gas pump add up to having more money in your pocket every month. You'll also appreciate the roomy cabin and the nice sporty ride quality of this Mini Cooper Paceman. This Mini Cooper comes with a variety of options like aux audio jack, Bluetooth integration, CD player, fog lights, keyless entry, rear spoiler, run flat tires, vehicle stability control system, plus lots more to make your driving experience more enjoyable and fun. You are cordially invited to take this Mini Cooper Paceman for a test drive and discover for yourself why this car is so popular. Contact us today and schedule a test drive. You'll be glad you did. Call John Mudd at 303-898-4157 if you have any questions or if you would like to schedule an appointment to see this vehicle. Call and ask about our competitive financing program; with approved credit. And we take trade-ins too. Message: Thought you might be interested in this 2014 MINI Paceman.